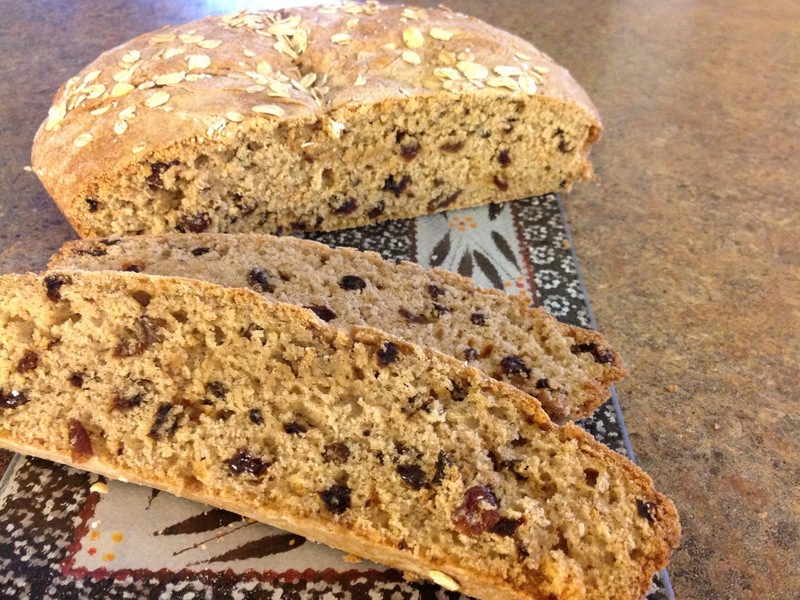 I’ve been making Irish Soda Bread for years. 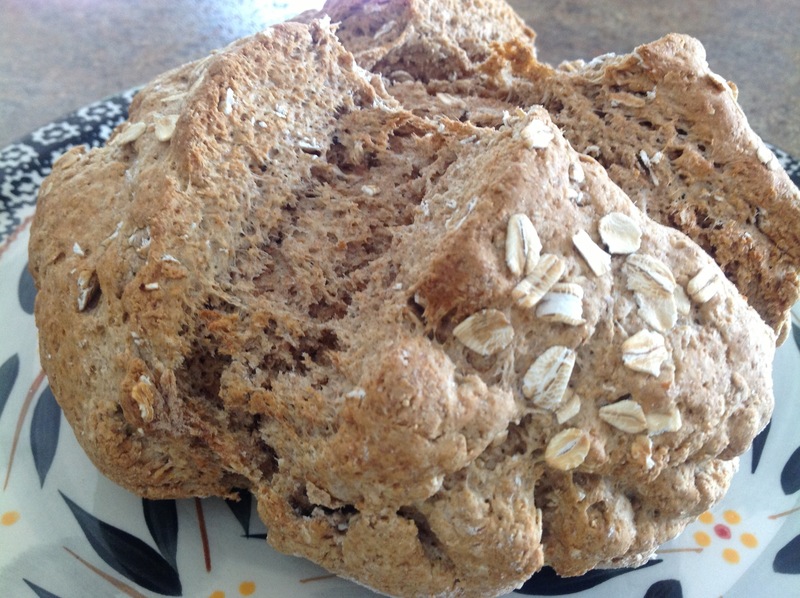 And I’ve certainly posted my fair share of soda bread recipes over the years. However, this recipe is definitely the easiest of the bunch to assemble. While the usual suspects appear in the ingredient list of this less than traditional recipe, the dough includes the addition of an egg so there is no need to knead. Just combine the ingredients with a spatula or wooden spoon and drop the moist dough into a standard-sized loaf pan. The result… A less crumbly loaf that’s a bit more moist as compared to the traditional bread round or scone. This loaf slices beautifully. 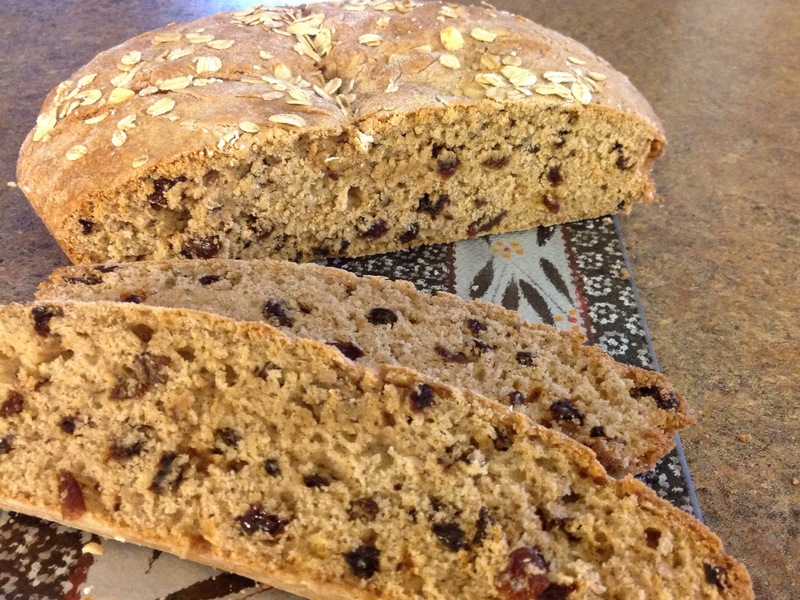 I hope you have a few spare moments to “throw on the kettle” and assemble this delicious Irish Soda Bread Loaf. There’s nothing like a fresh pot of tea with a thick slice of this gorgeous bread slathered with butter and homemade strawberry-rhubarb jam. Preheat oven to 350 degrees. Lightly grease a 9×5 inch loaf pan. Combine flour, baking powder, sugar, salt, baking soda and raisins. Blend egg and buttermilk together, and add all at once to the flour mixture. Mix just until moistened. Stir in butter. Pour into prepared pan. Sprinkle old fashioned oats over the batter; press lightly. Bake for 55 to 60 minutes, or until a toothpick inserted in the bread comes out clean. Cool completely before slicing. Our family loves the taste of homemade jam. In fact, store bought jam or jelly products just don’t cut it in our household anymore. While it might seem a chore to cook and carefully process the product, new tools and techniques have truly made canning your own food quite easy. Making freezer jam is also a great option for those wanting to assemble their own recipe in far less time. While I’d love to tell you that this is a secret family recipe, home food preservation involves a careful balance of ingredients and it’s something that I never fool around with. I always choose and carefully follow a reputable recipe when I’m canning foods for my family. 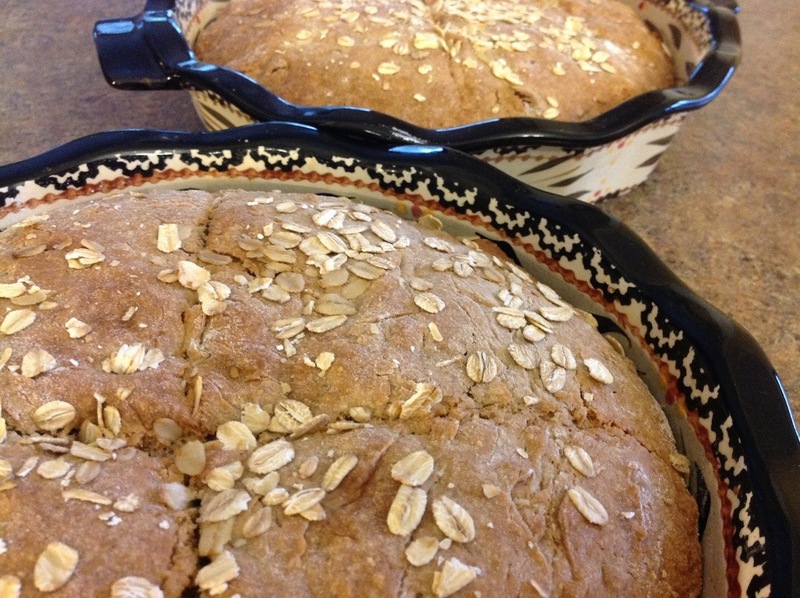 The reason…these recipes have been well tested for food safety. Processing times, ingredient quantity, and acidity levels have all been checked and rechecked to eliminate the possibility of food borne illness in the products we hope to safely store on our shelves. Our favorite way to enjoy this scrumptious treat would be to have the jam slathered all over a great big slice of Irish Soda Bread. While I’m fond of butter and jam, others in the family love the peanut butter and jam combination. 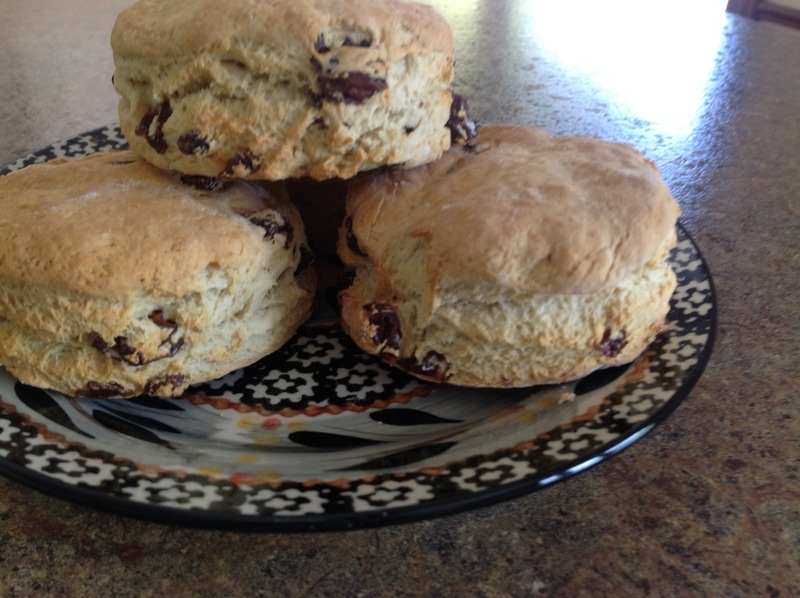 You can find the recipes for my Irish Soda Bread/Scones here and here. Getting back to the homemade jam, this delicious recipe is one that was carefully tested by Sure Jell, which is a fruit pectin company that makes a product to be used to thicken jams or jellies. You can find the recipe here. I’ve always had great success with this low sugar recipe and the large fruit pieces in the jam make for a lovely texture and add to the delicious fresh flavor of the product.